A reader sent me the following audio clip — presumably because the Noam Chomsky post I myself wrote some time ago states several of the things this (much-more-learned) fellow does. Dr. Yaron Brook, with whom I’m only passingly familiar, is, according to his website, a former professor of finance, a columnist for Forbes magazine, whose articles have also appeared in the Wall Street Journal, USA Today, Investor’s Business Daily, and many other such publications. He was born and raised in Israel and fought for the Israeli military, where he served as First Sergeant in the intelligence department. He also has a degree in Civil Engineering from the Technion-Israel Institute of Technology in Haifa, Israel. He is evidently no Republican-Conservative — a fact for which we can all be grateful, I think. 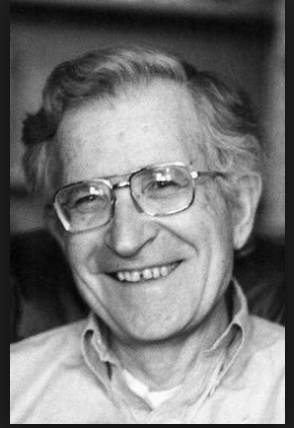 To YB: What is your opinion of Noam Chomsky? Hmm. Much as I despise the philosophy of Chomsky and his ilk, I am reminded in this audio clip of Climate Alarmists reaction to sceptics. I’m not sure if refusing to debate is a wise or strong standpoint.